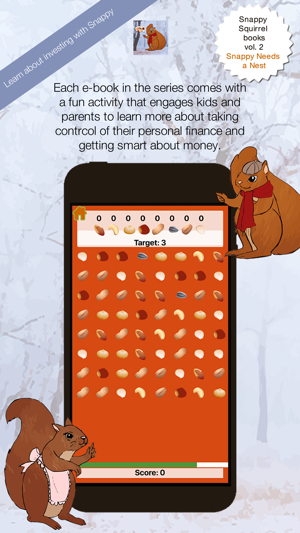 The Snappy Squirrel e-book series teaches kids and families in a fun, collaborative way about personal finance, saving, investing, banking, stocks, bonds, mutual funds, day trading, and more! Take control of your finance from an early age as you learn with Snappy. In Book 2, The Snappy Squirrel series of e-books continues when the weather gets cold and Snappy realizes that he needs a nest to feel comfortable, safe, and warm. But nests are expensive! 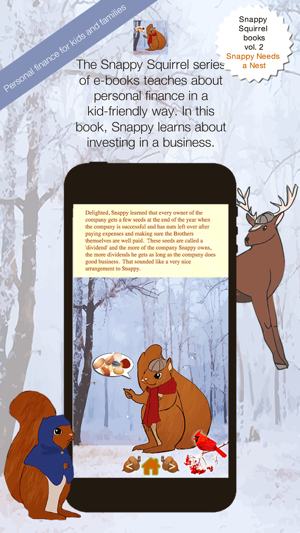 Snappy consults with his Auntie Pip and learns about forest businesses in which he can invest. Soon Snappy has assets in Owl's Bank and a solid investment in a locally-run business, the Deer Brothers' Lawn Service. 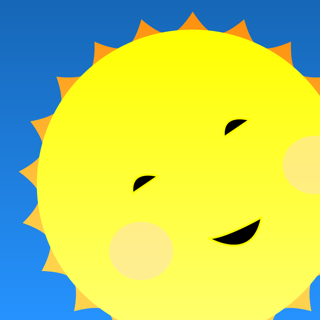 -Colorful illustrations and nature animations help keep kids engaged in learning. -Click the cardinal as you read for stimulating discussions about your own family's financial choices. -Each Snappy book includes a fun game - this volume includes a cute "match the nuts" matching game.